For 18 inch dolls. Fibre Craft has everything you need to round out the wardrobes for your Springfield Dolls. This package contains one pair of PJs: green cami, turquoise bottoms with green/white dots, white bunny slippers, and turquoise with white dot hair ribbon. Imported. 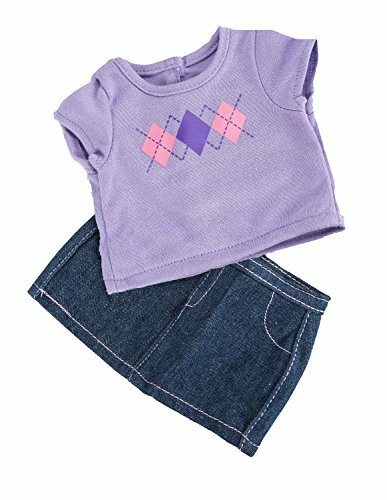 In this two-piece, lavender, heart t-shirt and dark denim miniskirt, your Springfield collection doll is ready to enjoy a stroll through the local mall. Short-sleeved top has hook-and-loop closure in back. Skirt has pink stitching, faux pockets and hook-and-loop closure. Rompers are arguably the most fun and vibrant outfits around. 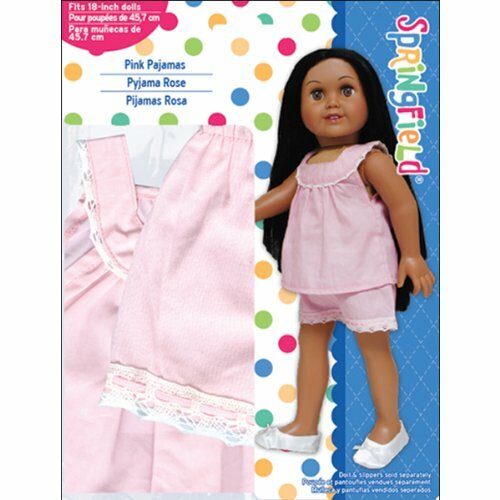 The Springfield Collection Pink Romper lets any 18-inch doll show off their pleasant summer vibe. This outfit is fashionable and allows your doll to go from school to a party or a non-casual dinner with friends. This outfit can be worn by any 18-inch doll. You can mix and match this chic romper with some flip flops and a sun hat to complete the summertime look. The customization options are limitless! 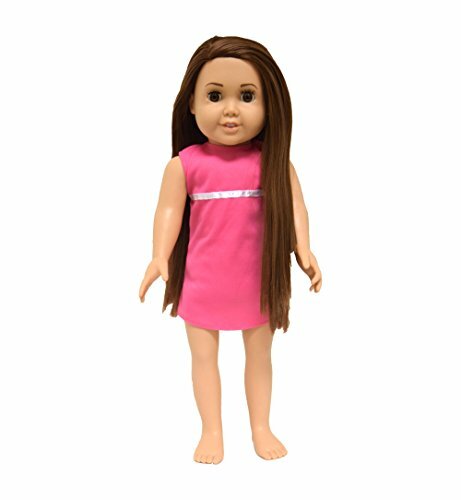 Our Pink Romper is the perfect choice for any 18-inch companions, including American Girl, Our Generation, or BU-tiful Dolls. Quality and economy made, Fibre-Craft Springfield Collection dolls feature soft, pre-stuffed bodies, plastic heads and limbs, and eyes that open and close. 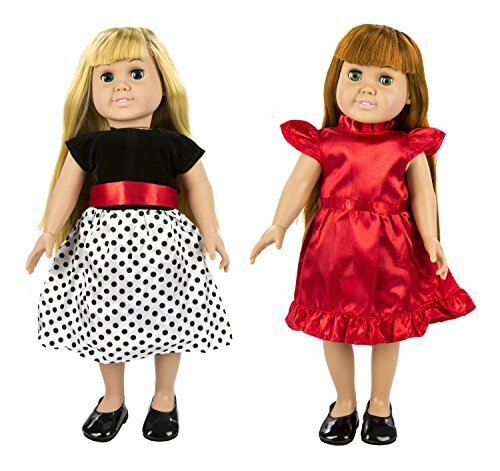 They can sit on their own and are fully compatible with all 18-inch doll clothes and accessories, including American Girl. 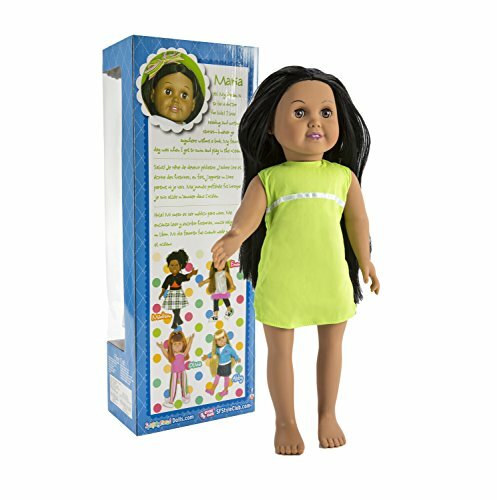 Our Maria doll has shiny black hair, brown eyes, and comes with a yellow dress. 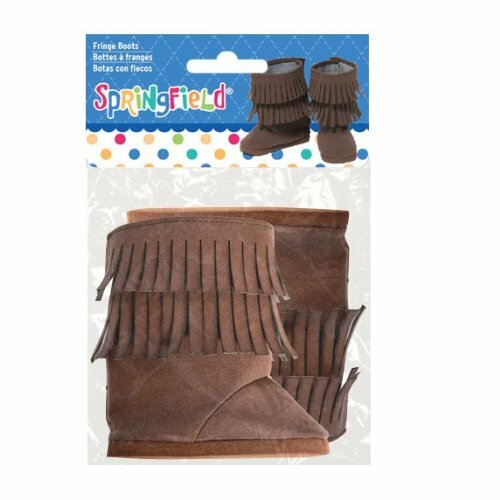 Look for all the Springfield Collection fashion options by Fiber Craft! From Fibre Craft's line of quality products at affordable prices, our Holiday Party Set is comfortable and fashionable for any doll! It features a pair of shiny black shoes, one red dress, and one polka dot dress. 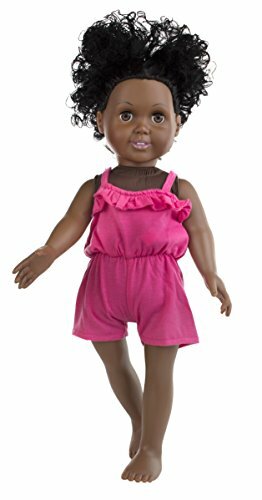 Perfect for mixing and matching, this item is fully compatible with other 18-inch dolls, clothing, and accessories, including American Girl, Our Generation, BU-tiful Dolls, and more. Machine washable for easy cleaning. Recommended for ages 4 and up. Package includes (1) Springfield Collection Holiday Party Set. Emma is one of the Springfield Collection Dolls and has a soft, huggable body, with long, silky brown hair for styling. She’s an 18-inch doll with a soft cloth body and a smooth vinyl head and limbs. Her long-lashed, sparkling, lifelike brown eyes open and close, and she’s posable with jointed arms and legs for hours of play and pretend. Jeans and a T-shirt are the go-to outfit for everyone, including young children, teens, college students, and even models for a reason. They’re comfortable and versatile, and allow you to go from school, to a day at the park, to dinner with friends. 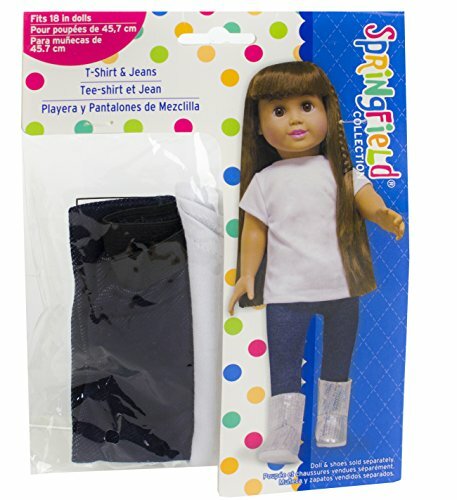 This Springfield Collection outfit features a sporty pair of distressed blue denim jeans and a white T-shirt, and is a reliable everyday look for any of your 18-inch dolls. You can mix and match the distressed jeans with other outfits and jackets for your doll to create a more refined look, or add the white t-shirt underneath an outfit to provide layers and an off-setting shade. It’s the perfect basic yet fashionable outfit for any of your stylish 18-inch companions, including American Girl, Our Generation, or BU-tiful Dolls. From Fibre Craft’s line of quality products at affordable prices, our Pink Pajamas outfit makes bedtime comfortable and fashionable! It features a pink blouse top and a pink bottom, both with white lace trim. 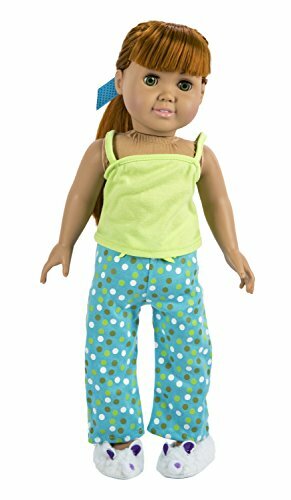 Perfect for mixing and matching, this item is fully compatible with other 18-inch dolls, clothing, and accessories, including American Girl, Our Generation, BU-tiful Dolls, and more. Machine washable for easy cleaning. Recommended for ages 4 and up. Package includes (1) Springfield Collection Tri Colored Dress. FIBRE CRAFT-Springfield Collection: For 18in Dolls. Fibre Craft has everything you need to round out the wardrobes for your Springfield Dolls. This package contains one each: Skirt; Top an d Shoes: hot pink/pink with multi-colored dots layered top; jean skirt and white with multi-colored dot shoes. Imported. Compare prices on Springfield Collection at TopShopion.com – use promo codes and coupons for best offers and deals. We work hard to get you amazing deals and collect all avail hot offers online and represent it in one place for the customers. Now our visitors can leverage benefits of big brands and heavy discounts available for that day and for famous brands.